Join a committee and volunteer for events that interest you. It a great way to build relationships with other chamber members and share your expertise! It’s also an opportunity to give back to your community while advancing your leadership skills. Ambassadors: Conducts monthly visits to new businesses and members and serves as a welcoming unit of the Chamber. Business Advocacy: Assists businesses with issues pertinent to them and provides referrals to other agencies and resources. Promotes local business development. Annual Meeting and Awards Dinner Committee: Plans the annual dinner event for 250 people held each year in January. 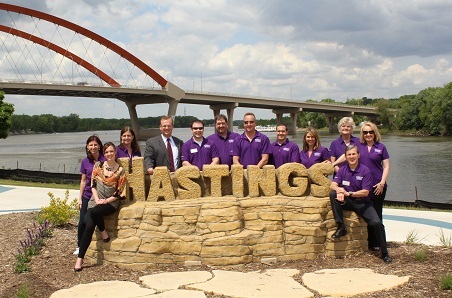 Tourism Bureau Board of Advisors: Appointed by the Board of Directors, this ten member committee utilizes the funds received through lodging tax to promote Hastings as a place to explore, shop, dine and stay. If you are interested in serving on a Chamber Committee, please contact the Chamber staff at 651.437.6775.